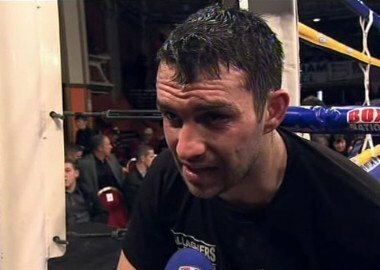 Liverpool’s super middleweight contender and former world title challenger Paul Smith goes into the lion’s den on June 20th when he travels to California and attempts to upset the returning Andre Ward in a fight many are viewing as an uphill struggle for the Brit – who is coming off back-to-back losses against Germany’s Arthur Abraham. Speaking to fighthype.com, Smith was honest in his appraisal of his chances in the fight and clearly recognises he is a big underdog. However, he believes he can upset the odds if he boxes a smart fight – and is buoyed by the American’s inactivity – Ward last stepped through the ropes back in November of 2013.
Credit to Smith for taking this fight. He’s being paid well and this is boxing – he could land a shot, Ward could look shocking after his lay-off – you never know. Though the sensible advice would be not to bet against the American for this one, who, even with the inactivity, is a level or two above Smith in terms of class, and I expect that quality to shine through once more on fight night. It’s entirely possible Ward will get the stoppage. The fight will be broadcast on Sky Sports for British fans.